The Automotive repair industry has been dealing with constant changes to the refrigerant options for several decades now. Increasing regulation has forced the use of newer and more “environmentally friendly” refrigerants that are less harmful to the atmosphere. Now comes news that one of the new approved refrigerants, HFO-1234yf, will have onerous use rules attached to it. Companies and entities intending to use it, produce it, or transport it will be required to notify the Environmental Protection Agency (EPA) of their intended interaction with the refrigerant 90 days beforehand. The EPA states that the reason for this is because of the new refrigerant is considered hazardous. The EPA wants this added time to evaluate the intended use or interaction to assure that the interaction would not lead to an unsafe consequence. One concern is that DIY users may not know how to properly handle this new, more hazardous substance. These users may be lead to believe that it can be handled much in the same way that it’s predecessors (R12 and R134a) were handled. The problem is that HFO-1234yf has much greater flammability properties. Some argue that In the zeal to make us all safer in one aspect of the refrigerant process, the regulators and politicians have just made us less safe in other aspects. If a vehicle is involved in an automobile accident, this new refrigerant has a much greater likelihood to explode, or catch fire. Another aspect is that technicians will need to be trained on the proper handling proceedures for this new refrigerant. Auto shop owners will need to purchase a new compliant AC Service Machine to handle the refrigerant as well. Just another expense for those struggling small business owners. Consumers will be shelling out more money as well, because this new refrigerant has a significantly higher cost. What do you think? Is the rush to mandate new refrigerants worth all of the added burdens and costs? Welders and plasma cutters are vital for any auto body shop. You’ll need a good welder and plasma cutter from a quality manufacturer if you want to be able to handle all the jobs you’ll need to be able to handle. There are many fine manufacturers out there, We carry two of the biggest, Lincoln and Thermal Dynamics. You can’t go wrong with names like these. 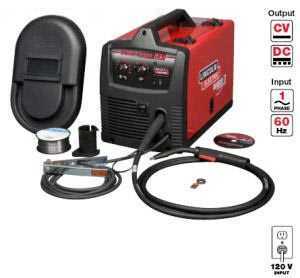 So then it comes down to what type of welder to purchase. That will depend on the type of work you’re doing. For thicker material like frames, an affordable Arc Welder will get the job done just fine. It handles this type of work well, it is easy to master and can be quite affordable. For those more precise jobs where you need to handle thinner material, fine body work and such, you’ll want to use a Mig Welder. Mig welders are best for handling the thinner sheet metal jobs because they will cause less distortion, and you’ll get a cleaner weld. You have more control and precision giving you an end product that can be perfect once you’ve mastered the art. Mig welding can be done with, or without shielding gas. If done with gas, you tend to get the finest results. When done without gas, you’ll need to get flux core welding wire, which provides the important ingredients to accomplish the proper weld. The end weld will be just as strong, but maybe not quite as pretty. We bundle Plasma Cutters in with welders because they go together like peanut butter and jelly. If you’re performing body work, and fabricating, you’ll need a Plasma Cutter. Sure, the Oxy / Acetylene torch is fine for frame cuts, but for the thinner material, and where precision is required, nothing beats a good plasma cutter. Plasma cutters will provide you with the most perfect cuts, for when nothing else will suffice. We recommend a plasma cutter with an inverter instead of a transformer. The older transformer technology was fine in it’s day, but modern plasma cutters with state-of-the-art inverter technology offers better performance. It will run less hot, which means longer duty cycle, and greater longevity. It allows for a much smaller, lighter machine too, making it more portable. We told you in a previous post about Toyota shutting down their North American plants. Now there’s word that Nissan will be moving production of it’s Infinity SUV to the US along with production of it’s electric car, the Nissan Leaf. After hearing about the news of Toyota halting production in it’s North American plants, it’s comforting to know that there are jobs actually coming in to the US. Nissan is Japan’s second largest auto manufcaturer. Nissan decided to bring production of it’s Infinity to the USA due to the Earthquake tragedy in Japan. They announced at the New York Auto Show that they intend to eventually bring production up to 85 percent in the Americas. Much of the manufacturing will occur in it’s Smyrna, TN and Canton, MS plants. All these jobs coming to the US means more autos going up on Auto Lifts to be serviced. In other Nissan news, production of it’s electric car, the Nissan Leaf has started slow in part, due to the eathquake, but they now have their first shipment of Leafs headed to the USA now. There are 127 Leafs headed to the USA as this is being written with many more scheduled for production. The Leaf won the 2011 World Car Of The Year Award. All the major auto manufacturers are dipping their toe into the waters of “Green” automobiles. We expect many more to come. What better time of year than the Easter holiday to donate to Homes For Our Troops? We’ve told you about this very worthy charity before. And we’re going to continue to tell people about it for as long as there’s a need for it. We’ve been supporting them for many years now because the cause is right and they are one of the best rated charities by the major rating agencies. Charity Navigator gives Homes For Our Troops a Four Star rating. Homes For Our Troops builds specially adapted homes for our disabled veterans coming home with severe injuries. They’ve just finished making their 100th home, and their next goal is 200. With your help, we hope to help them reach that goal in half the time it took them to get to their first 100. Many of our customers make a comfortable living, and are able to afford to put an Automotive Lift in their home garage. If you can afford to purchase this type of equipment to store all your extra cars then you certainly have a few extra dollars for such a worthy cause like Homes For Our Troops. Please find it in your heart to make a small donation. ASEDeals.com was recently contacted by the producers of the very popular television show “Two Guys Garage”. They asked us to supply them with a transmission fluid exchange machine for an upcoming episode. In case you aren’t familiar with it, this show is an extremely popular program that airs on the Speed Channel. They cover any and all aspects of servicing vehicles in a typical garage atmosphere. They typically demonstrate a specific type of service in an informative way with knowledge and professionalism that only the hosts can provide. These guys have many talents, including remodeling many autos on another popular show – “Overhaulin”. When they asked us for a transmission fluid exchange machine, our first suggestion was the TTech TT500 Transmission Fluid Exchanger. It is made by one of the premier names in the industry – TTech. We have been carrying their products for over 15 years now. The TT500 has all the features you would want in a trans. fluid exchanger, and right now, we’ve got a killer deal on them. Prices have NEVER been lower. Plus, we’re throwing in an additional 15 fittings – Free! This deal is only good until the end of June, so don’t wait. The episode is scheduled to air July 16th. We’ll keep you posted. Looking for something to do this weekend? If you are, and you’re in the New York area, swing on by the 2011 New York International Auto Show. It will take place from Jacob Javits Center from April 22-May 1. It’s always a great event and a source of information for anybody interested in the auto industry. There are all kinds of events and exhibits where you can learn of the latest trends in the industry. This show was the first and longest running auto show in the industry, first appearing in 1900. There will be many forums, conferences, symposiums and major announcements, and press conferences from the premium car manufacturers. The show offers a view at all the major makes and models, and even some Automotive Equipment. There will be classic cars on display, an area where you can get your picture taken with one of the Disney cars, autograph signing with race car drivers like Drift Car Racer Ryan Tuerck. Some sports figures will be there too. Many Detroit Lions football players, and NY Mets players like Keith Hernandez will be there signing autographs. Make sure to check out the concept cars. That’s our favorite part. Even Henry Ford would be amazed at the modern vehicle. We’ve come a long way from the early days, when there were no comforts of the modern car, not even a roof or windshield. But the modern vehicle is still leaps ahead of top of the line cars made just a decade ago. Due to recent technological advances, we enjoy the most convenient and safest autos ever made. Sure, there are the traditional anti-lock brakes and air bags that engage from the sides. But there is so much more now. Most of those old systems were intended to protect you in the event of a crash. Now, these new systems are intended to help prevent a crash in the first place. Some of these new features include steering wheels that shake when the vehicle’s monitoring system determines that you may be dozing off. There are cameras in the rear that can provide you with a view of what’s behind you when you’re backing up. There are some systems that will warn you as you get closer to something as you are backing up. Some systems can detect objects in your blind spot. Some cars even have systems that will help you navigate around obstructions in your path and even stop the vehicle if necessary. Of course, all of these added features increase the cost of the modern car dramatically. And the government mandating that cars have some of these added features means that we don’t have a choice whether or not we want them. This also adds to the auto shop owner’s list of services he can provide. 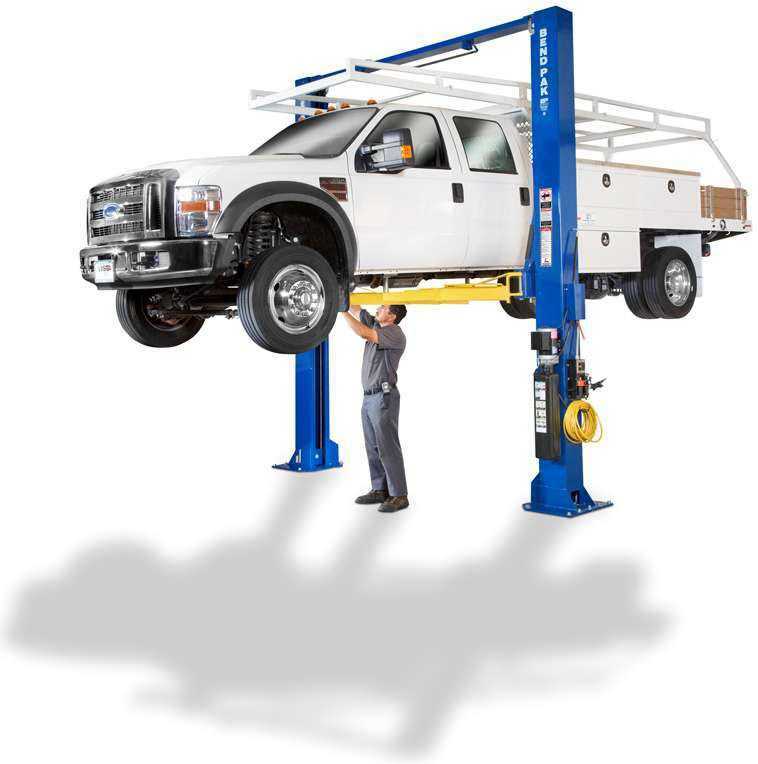 Once the vehicle is up on the car lift of course, your technicians will need to be trained in all these new services, and you will need to purchase new tools and Automotive Equipment to service these advanced systems, but once they are, it means a new revenue stream for your garage. We can’t wait until cars are so advanced that we don’t even have to pay attention when we drive. Just press a button and read the paper until we get to work. The jokes about people deciding on which car to purchase based on how many cup holders it has aren’t that far off after all. According to a recent study, these accessories factor in to the consumer’s decision making process more than you would realize. Recent research from Specialty Equipment Market Association (SEMA) shows that options offered account for increasing sales at auto dealerships. Some of the more popular accessories that are influencing consumers were sunroofs, high end sound systems (Now you know why the guy in front of you can’t hear you when you’re honking your horn) and Navigation systems (we need to know where we’re going). Probably the most popular is specialty tires and wheels. The craze is sweeping the nation. You’ve seen them out there. They seem to be everywhere. The huge, aggressive flashy rims with the skinny low profile tires are most popular in many urban areas. In many cases, the rims and tires you see on the streets are more expensive than the car itself! It’s all about making a statement we guess. These accessories can help the auto shop owner increase his profits. All these specialty tires require a new fancy high performance Tire Changer and wheel balancer. These trends are custom made for shop owners to raise revenues in an increasingly difficult business atmosphere. Garage owners who don’t take advantage of these situations when they arise are destined to fall behind the competition. Many consumers may not be aware that there are three different types of tires; directional, symmetric and asymmetric. It is important that the technician changing the tires know the implications of each. When a consumer brings their car into the local tire shop for a tire rotation, or for changing tires on a Tire Changer, the technician must frequently pay careful attention to which tire goes where. They can no longer assume that they can just mount any tire anywhere on the automobile. While some tires, like symmetric can be mounted anywhere on the vehicle, others cannot. If mounted wrong, it could have a serious impact not only on drivability, but safety as well. Directional wheels can be mounted on the same side of the vehicle, but would have to be dismounted and re-mounted to the rims to assure they are pointed in the proper rotational direction in the event you were to change the side of the vehicle they are installed on. Directional tires can be asymmetric as well. When it comes to asymmetric tires, you must keep one wall on the outside, since the inner half of the tread is not the same as the outer half. Technicians must pay attention to which side stays on the outside as there are indicators on the tire for rotation direction, as well as instructions on which side should be on the outside and which should be inside. Some asymmetric tires can be directional as well, meaning that they must rotate in the proper designated direction. The next time you go into to the shop to rotate your tires, you make want to take a closer look when you leave, to make sure that they were mounted properly. 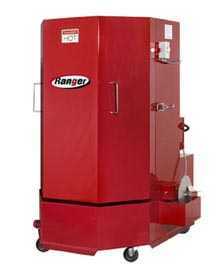 Part 6 of our Auto Shop Equipment Essentials list is spotlighting Parts Washers. No shop can do without at least some type of Parts Cleaner. There are constant questions customers have when it comes to parts cleaners. The most common is – What type should I get? The answer to that question requires some follow up questions from the person selling you the parts washer. A good sales person will attempt to better determine your application to fit you with the best choice for your situation. They won’t just try and sell you what they have in stock or the most expensive machine they can. What kind of parts are you cleaning? How frequently are you cleaning parts? How big are the parts? Are the parts manufactured out of plastic, or do they have a painted surface? Is there any component that might not be compatible with certain solvents? What kind of dirt are you attempting to remove from the parts? Is it grease and oil, or some other type of dirt? Do you want a water based (Aqueous) Parts Washer or a solvent based parts washer? That last question is one of the most important ones. Solvent parts washers have traditionally been the type found in most auto shops. But as disposal of waste detergent becomes more difficult and expensive, water based parts washers have rapidly grown in popularity. They require a larger up-front cost, but will eventually save you lots of money on detergent. Water based detergents come as a concentrate, and typically you would mix it 1 to 6 with water. The knock against water based detergents is that they don’t clean as well as solvent (hydrocarbon) based detergents. But with some of the better modern water based detergents, as long as it is the proper concentrate, and as long as your parts washer has a heater, you should be able to clean as effectively as solvent. What type of parts washer should you get? A drum mount model, sink basin style, or top loading agitated models are all available. If you need to clean larger parts, with tough baked on grime, a spray wash cabinet may be in order. A Spray Wash Cabinet will do all the work for you so you don’t have to scrub away at the parts. What ever type you get, don’t try to take the cheap way out. Inferior pumps and inferior finishes that leave you with chipping paint will leave you wishing you spent a few extra bucks for a quality machine. You are currently browsing the Car Lift Blog blog archives for April, 2011.